This Halloween invitation template is great to use when you are also inviting children over. It isn't too scary, but it has the Halloween look & feel. Just dowload the invitation in Word for free, install the fonts and edit the information to your wishes. 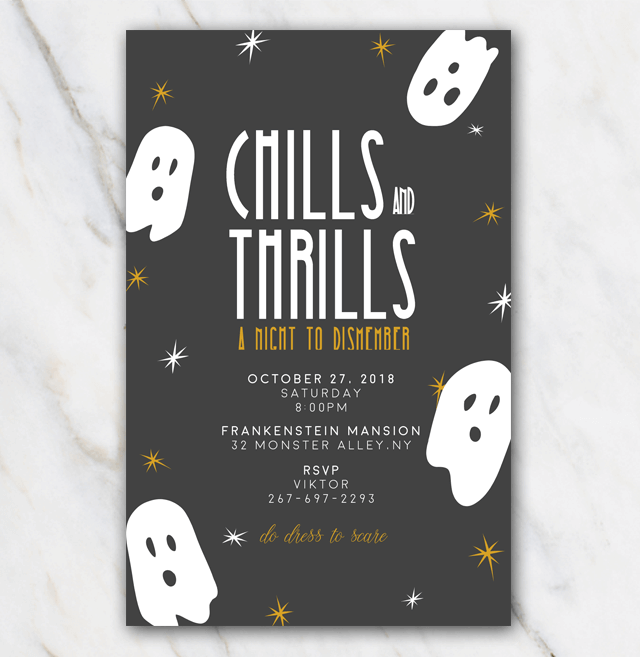 Don't forget to check out the other Halloween invitation templates right here!